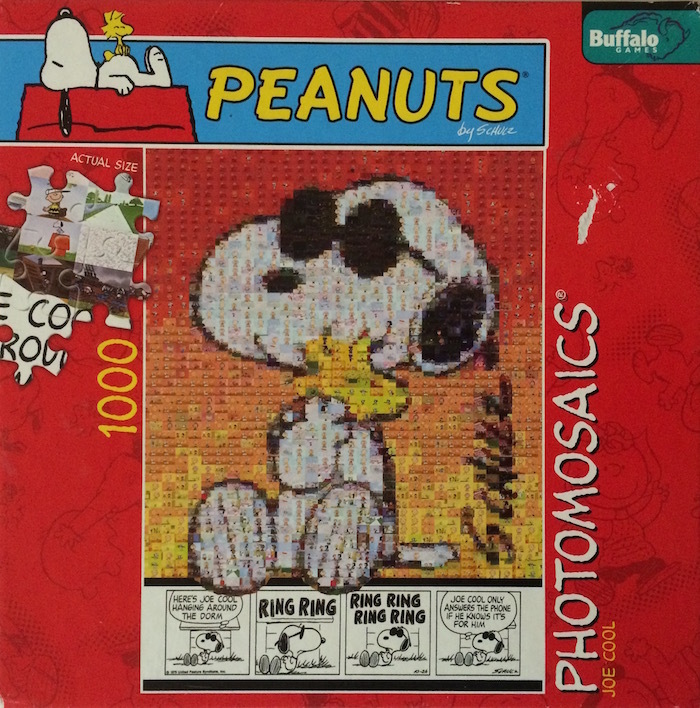 Robert Silvers is the inventor of the Photomosaics process and original Artist. 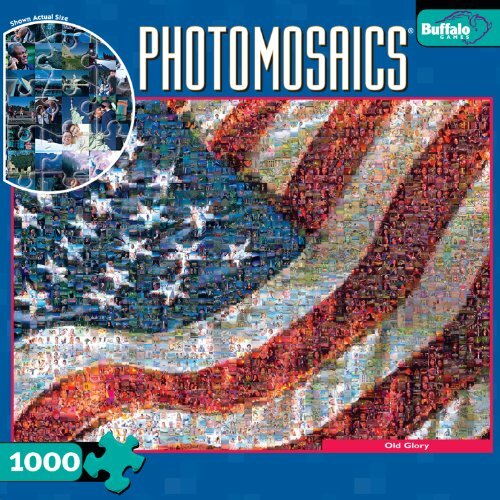 I have only ever seen Photomosaics images in the form of jigsaw puzzles by Buffalo Games By that I mean I have not seen other Brands selling photomosaic jigsaw puzzles but that does not mean there aren't any (it's still a big world out there...). 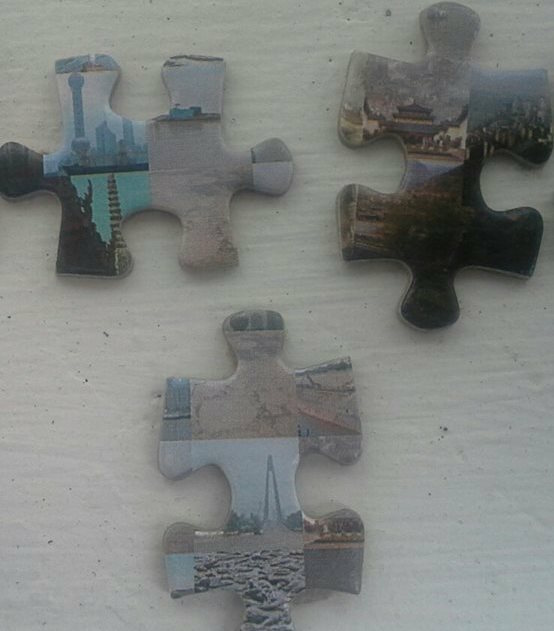 Close up view of tiny images seen on individual puzzle pieces. 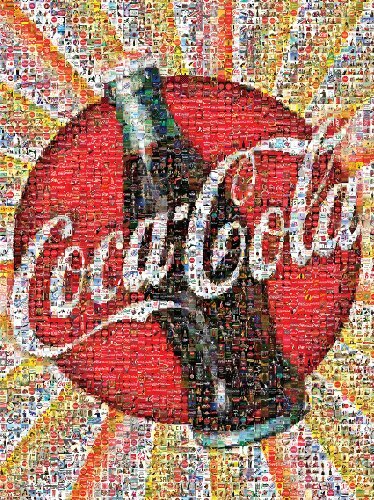 In the simplest terms a photomosaic is a picture that has been divided into equal sized tiled sections, each of which is replaced with another photograph that matches the target photo. 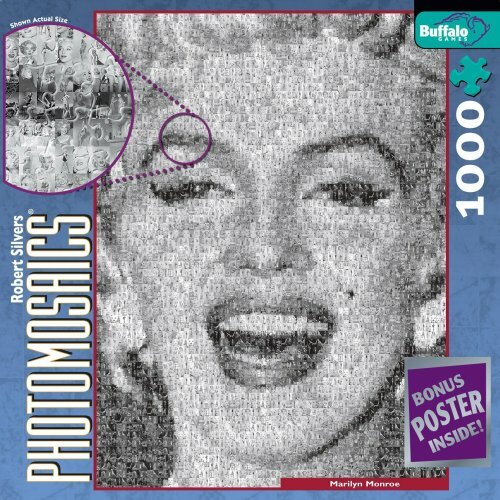 When viewed at low magnifications, the individual pixels appear as the primary image, while close examination reveals that the image is in fact made up of many hundreds or thousands of smaller images. 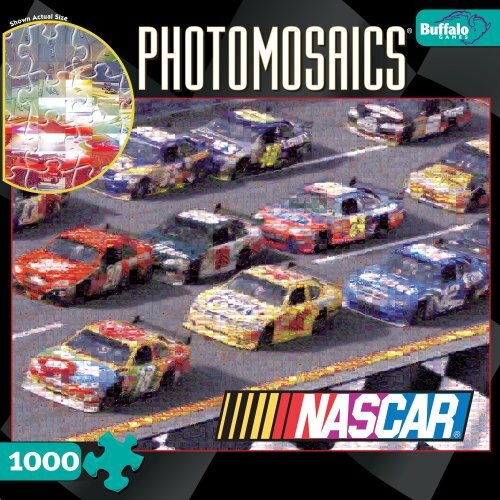 First, the quality of Buffalo Games jigsaw puzzles is good enough to call decent and acceptable. 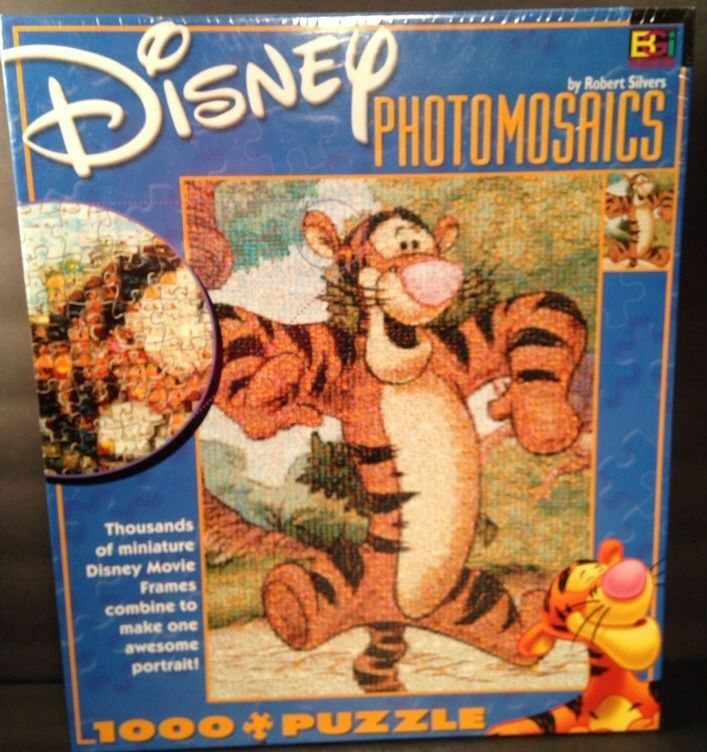 You can easily see the grid/ribbon pattern of the pieces so not random cuts. 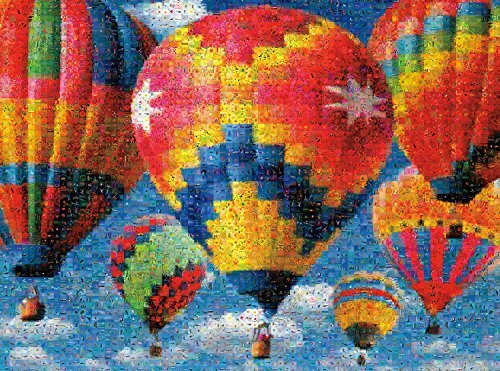 Also in this image you can see 4 basic colors for sorting although I do not recall sorting the pieces when this one was completed several years ago. 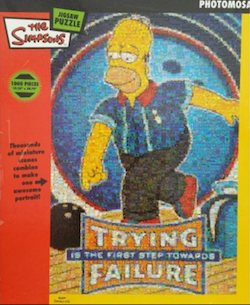 However I do recall it being very tricky and quite some time to complete. 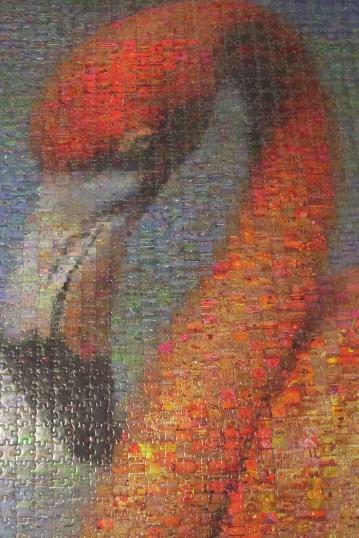 I do have to admit, the fun in doing photomosaics is seeing the tiny images on each of the puzzle pieces. 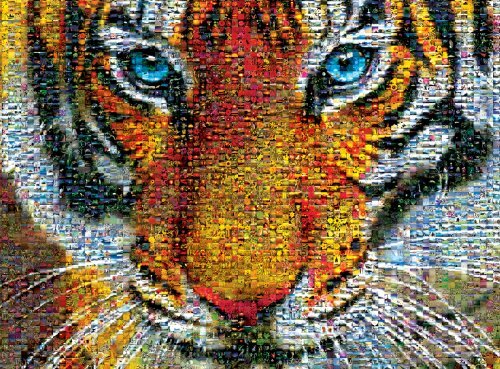 It was most intriguing and actually amazing to me. 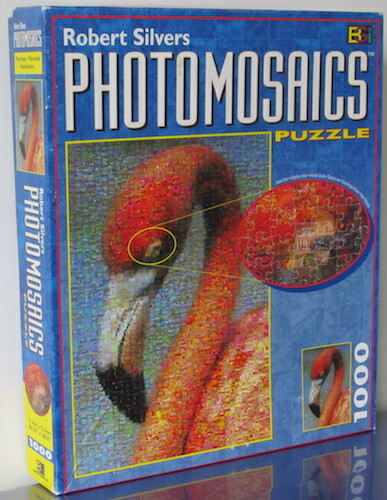 I do not have any close-up photos of this puzzle as it was assembled 20 years ago and is my 3rd oldest puzzle which is still on the wall using the 'no-glue' method. 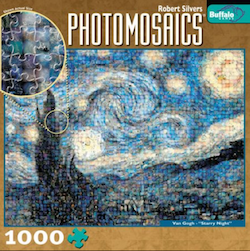 But, when I do get to doing any one of the following photomosaics jigsaw puzzles in my TO DO List I certainly will be getting some great close-up pics!